Steel breaker core directly under the exothermic feeder. FEEDEX K (Fig. 1, Foseco Foundry Division Vesuvius GmbH) highly exothermic feeder sleeves combine the best in class feeding performance that foundries with unsurpassed knock-off cleanliness and consistency. 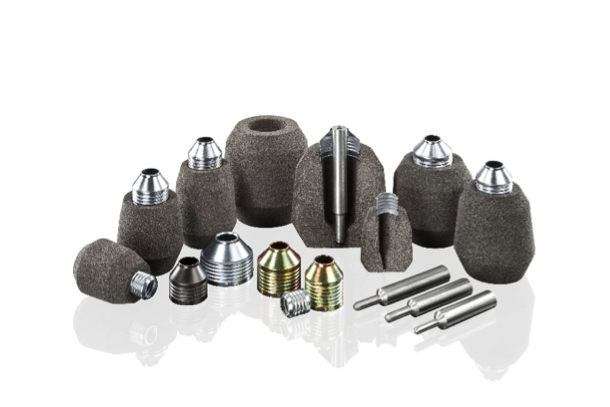 The unique design of the stepped steel breaker core and optimized neck configuration allow spot feeding application to even the smallest casting contact areas, create a defined knock-off edge at the casting surface and ensure excellent sandcompaction underneath the feeder sleeve. 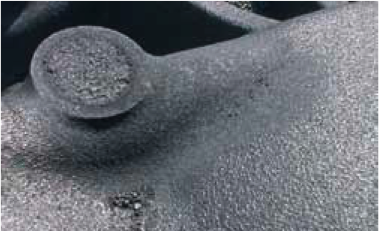 An additional benefit of using a steel breaker core is the avoidance of graphite degeneration problems due to exothermic material coming into contact with the surface of the casting.